So far the Task Force is not being very successful at actually exiting the auto business as promised. In 2008, Lear Corporation ranked at number 157 among the Fortune 500. While Lear Corporation, one of the nation’s largest automotive suppliers, is on the edge of bankruptcy, the Obama Administration’s Automotive Task Force appears to be actively lining up support from the private sector to help auto suppliers. Following the Task Force’s rather blatant intervention over the weekend in the GM bankruptcy, the Task Force appears to be working behind the scenes to secure private money for parts suppliers after it refused further taxpayer support earlier this month, said one Detroit area consultant who asked not to be identified. 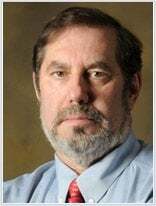 Lear, according to at least one report, is in line for $500 million worth of debtor in possession financing that was virtually unavailable at any price only 60 days ago. Financial center blogs also speculated that the Task Force helped TRW renegotiate key covenants with key suppliers. Meagan Hardcastle, a director and turnaround specialist for O’Keefe & Associates in Bloomfield Hills, said all kinds of suppliers are facing financial issues right now. “We got huge liquidity problems in the supply base right now. We think several big suppliers are going to file for Chapter 11 protection,” she said. Latest defeat for the auto industry could create administrative chaos and severely restrict your new vehicle choices. The Obama appointee claimed the waiver is appropriate and consistent with previous interpretations of the Clean Air Act by EPA. At least 13 other states and the District of Columbia have said that they intend to follow California in instituting tougher standards than previously called for under federal regulation. Since these areas comprise about 40% of new car sales, it is possible that California legislators and bureaucrats will determine the size and types of cars that you can buy after 2016. The first California waiver request was made in December 2005 under the Bush Administration and was subsequently denied in March 2008. This previous decision was based on an interpretation of the Clean Air Act finding that California did not have a need for its greenhouse gas emission standards to meet “compelling and extraordinary conditions,” EPA said in a statement defending the reversal of this previous policy ruling. “This decision puts the law and science first. After review of the scientific findings, and another comprehensive round of public engagement, I have decided this is the appropriate course under the law,” said EPA Administrator Lisa P. Jackson. The Obama appointee claimed the waiver is consistent with the Clean Air Act as it’s been used for the last 40 years. “More importantly, this decision reinforces the historic agreement on nationwide emissions standards developed by a broad coalition of industry, government and environmental stakeholders earlier this year,” she said. While automakers dependent on government support and others observing the “bully pulpit” that the administration has used to shape the debate on automotive matters have been cowed into public silence, auto dealers, many them small business owners with Republican ties, are more vocal in their opposition. 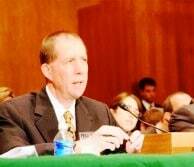 “EPA’s decision to reverse its 2008 denial of California’s request for a pre-emption waiver is sadly a triumph of politics over good common sense,” said John McEleney, chairman of the National Automobile Dealers Association. “Moreover, with its action today, the Obama administration has effectively ceded the long-term setting of national fuel economy standards to unelected California regulators,” he added. Just after taking office in late January, President Barack Obama directed EPA to assess the appropriateness of denying the waiver. 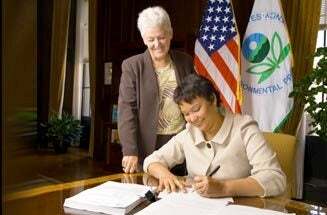 EPA received a letter from California on January 21, 2009, raising several issues for Administrator Jackson to review regarding the denial. Last month, President Obama announced a first-ever national policy aimed at both increasing fuel economy and reducing greenhouse gas pollution for all new cars and trucks sold in the United States. The new standards would cover model years 2012-2016. 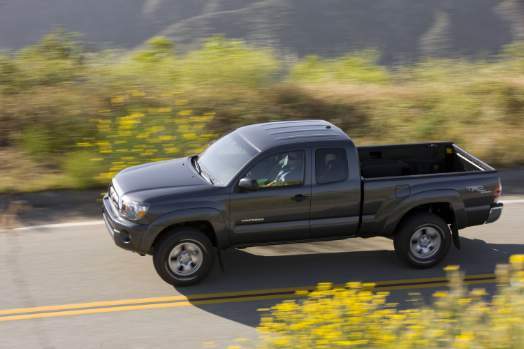 Cars and light trucks must average 35.5 miles per gallon by 2016, about 40% higher than today. Congress in 2007 passed a 35 mpg requirement by 2020. The accelerated time table will add thousands upon thousands of dollars to the cost of a new car critics say. A crucial test for the Obama Administration on trade policy is coming by the September deadline for Presidential action. During the last five years, about 5,100 U.S. tire workers lost their jobs. The U.S. International Trade Commission (USITC) said yesterday it will propose to President Obama that tariffs be implemented by the Administration on the 46 million tires imported annually from China. The latest action follows the Commission’s June 18th ruling that a market disruption exists, and it is harming U.S. industry. Simply put, without getting into a meaningless legal definition debate, we interpret this as saying China is dumping tires illegally in the U.S. under international trading rules. The ITC investigation was prompted by a union complaint from the United Steel, Paper and Forestry, Rubber, Manufacturing, Energy, Allied Industrial and Service Workers International Union (USW). The USW complaint asking for tariff relief was filed under Word Trade Organization rules that China has agreed to be governed by. The USW filed a petition with the ITC in April that sought relief under Section 421 of the Trade Act of 1974. Section 421 is a temporary, country-specific safeguard that China agreed to as part of its bilateral trade negotiations with the United States leading to China’s 2001 membership in the World Trade Organization. Automaker aims to overcome concerns about rising prices. 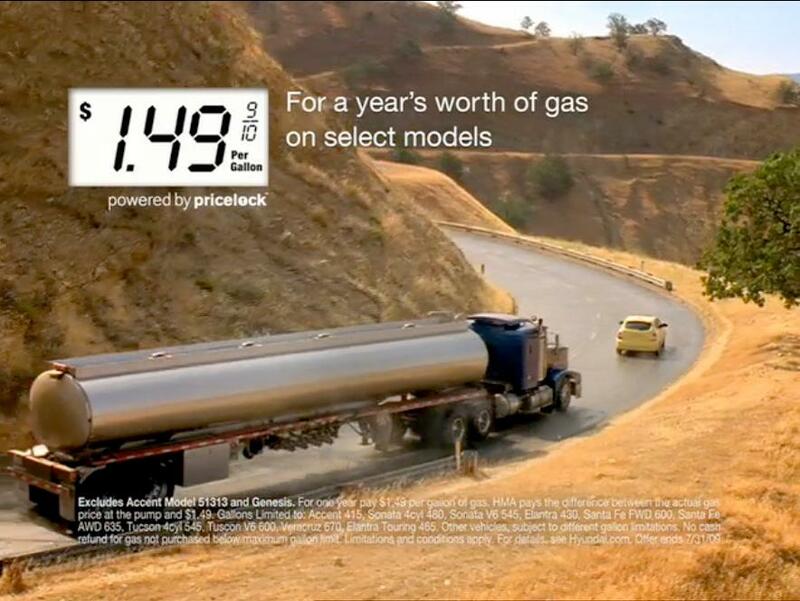 Hyundai will let buyers gas up at $1.49 a gallon under its latest sales incentive program. 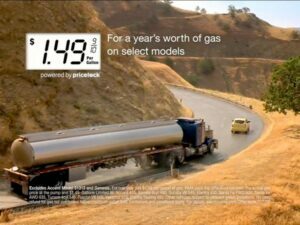 Hoping to overcome mounting concerns about rising fuel prices, Hyundai has introduced a new incentive program that will let owners buy gas at $1.49 for a full year. Dubbed the “Hyundai Assurance Gas Lock” program, it’s the second marketing campaign the Korean carmaker has launched, this year, aiming to overcome fears about the economy and, in particular, fuel prices. Last January, the automaker announced another “Assurance” program that would, under specified conditions, allow a buyer to return a Hyundai vehicle, without penalty, if they lost their job. The program, which covers all Hyundai products except the new Genesis coupe and sedan and one version of the Accent, provides eligible owners with a card that sets the price of regular fuel at $1.49. Motorists can upgrade to mid-grade gas at $1.64, or premium at $1.79. “We’ve extended Hyundai Assurance to cover gas prices just as peak summer demand traditionally strains budgets further,” said Hyundai Motor America Vice President Joel Ewanick, in a statement. Is GM’s Deal to Sell Opel Falling Apart? Was there ever a deal in the first place? The proposed sale of Opel to the Canadian supplier, Magna, could have hit a roadblock. Talks between General Motors and the Canadian auto parts giant, Magna International, appear to be running into snags, threatening the planned sale of a majority stake in GM’s huge and troubled European subsidiary, Opel. A number of alternatives bidders are now pushing to displace Magna as the preferred partner in an Opel sale, including the Belgian industrial holding company, RHJ International, and China’s Beijing Automotive Industry Corp. The Italian automaker, Fiat, is also reportedly looking for ways to revive its own bid, which lost out to the offer from Magna. The unexpected turns of events comes precisely one month after the Canadian supplier and its Russian ally, Sberbank, appeared to lock down the purchase of a majority stake in Opel, the German-based GM operation that was teetering perilously close to insolvency. The U.S. automaker was under intense pressure to conclude a deal with one of three final bidders in order to win a $2.5 billion bridge loan from the German government. "We have already lost our leadership in many growth industries and other new opportunities are at risk." 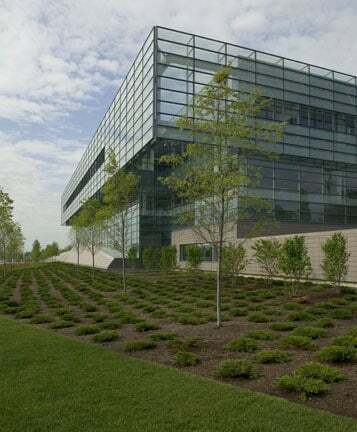 The new GE center will include a GE research and development facility that will be part of GE’s Global Research network, which includes 2,800 researchers in Niskayuna, New York; Bangalore, India; Shanghai, China; and Munich, Germany. For the last three decades, General Electric has been considered the fount of wisdom in industrial America, although its fabled financial performance has been revealed as an insurance based scam, which allowed it to boost and smooth earnings. GE has also been a noted training ground for the top executives at other companies and a source of endless fascination for pundits and business professors. People might not listen quite as attentively to Jeffrey Immelt as his fabled predecessor, Jack Welch, but when he showed up in Michigan to announce plans for a new research center near Detroit people did sit up and take notice. This isn’t a run of the mill technical center staffed with a dozen engineers and couple of IT guys. GE plans to hire 1,100 right at the start for the $100 million project. The company thinks it can grow from there. Most of the new hires will be engineers and PhDs in technical fields, Immelt suggested. In fact, Michigan’s politicians couldn’t believe what they were hearing. “This could have gone anywhere they could have put this in Beijing or Bangalore,” noted Wayne County executive Robert Ficano. Taxpayers of Michigan are are providing more than $60 million in incentives over the next 12 years to support the center. 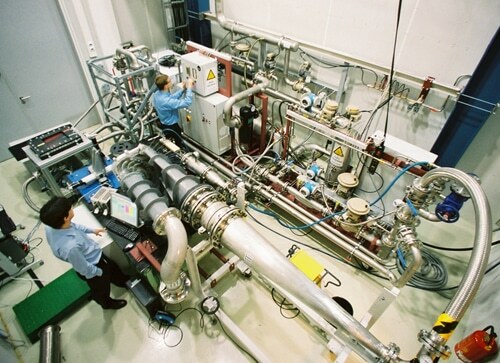 Work at the center will focus on development of composites, machining, inspection, casting and coating technologies for GE’s Aviation and Energy businesses, said Immelt. “The scientists, engineers and technologists that will work and learn at this center will help GE develop innovative new software, processes and technologies to make our manufacturing businesses even more productive and competitive,” Immelt said. Flying at 32,000 feet is quite an achievement for 1919. Still is. It took Diemer 87 minutes to reach 9,760 meters. 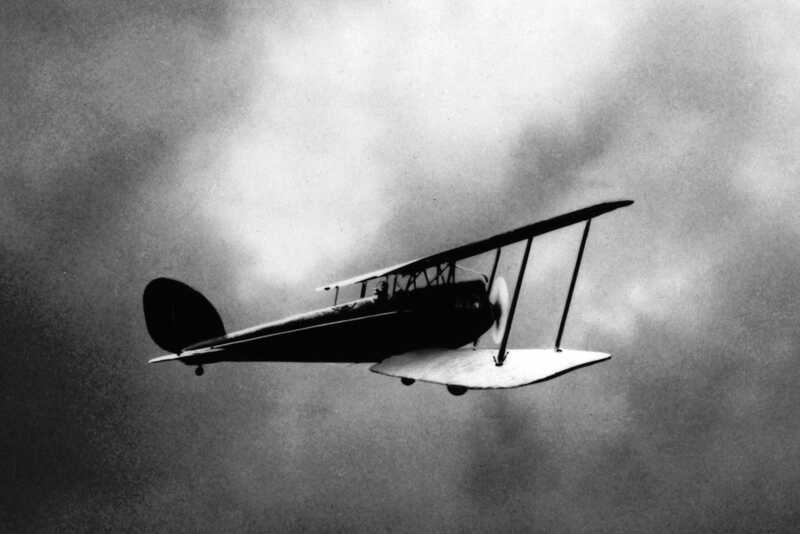 In June of 1919 a BMW engine powering a Deutsche Flugzeugwerke F 37/III climbed to 9,760 meters or a little more than 32,000 feet, setting the company’s first world record, according to BMW. The pilot, one Franz Zeno Diemer took off from Munich’s Oberwiesenfeld airfield and put his fate in the trust of a BMW IV airplane engine. Based on the existing BMW IIIa, the IV engine had its bore and stroke increased by 10 mm to boost output from 185 horsepower to 230. On the Sunday he set the record, the weather was fair. It took Diemer 87 minutes to reach the record-setting height, for an average climb of 368 feet per minute, a rate that some light aircraft today can’t sustain on in hot weather after only a couple of thousand feet. 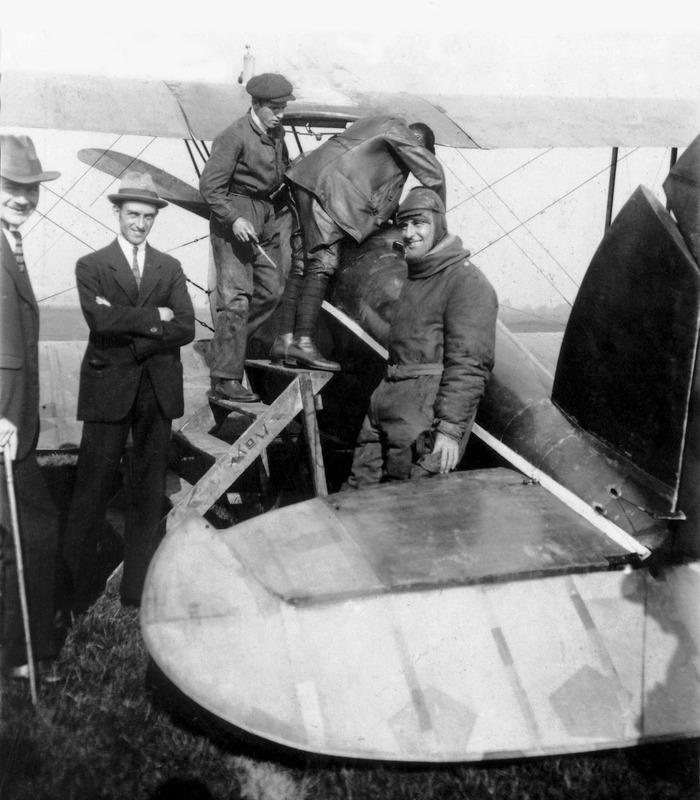 After the flight Diemer claimed that the engine still had the ability to climb, but that he himself had reached the limits of his capacity. In his open pilot’s seat he experienced temperatures as low as -50° Celsius, but also the low oxygen levels in the air altitude, which took their toll on him physically. He was lucky he didn’t suffer from hypoxia and didn’t pass out. In fact, some skeptics say that without supplemental oxygen, it wouldn’t have been possible for him to remain conscious at that height. Franz Zeno Diemer took off from Munich's Oberwiesenfeld airfield and put his fate in the trust of a BMW IV airplane engine. The challenge Diemer faced was caused by the same underlying problem that all engines have struggled with since their invention, the loss of power at altitude. Normally an airplane produces its maximum output on the ground, which allows it to get enough airflow over the wings and control surfaces to produce lift and allow it to take off. But, as always, military needs pushed development into new areas, and the ability to out climb an enemy was one of the keys to survival that emerged during the War to end all Wars. Since air density steadily decreases with altitude, unless you have a way of forcing more air into an engine than ambient pressure, power diminishes as well. Two different approaches were and still are pursued in an attempt to counteract the loss of output in the thinning air. Some manufacturers, such as rival Daimler, turned their attention to supercharging, whereby air was forced into the carburetor by means of a compressor. But this technology complex and only established itself in the 1930s. Friz opted for an “over-square” high-compression engine for the first BMW aircraft engine, the forerunner of the IV world record engine. Latest development comes as GM prepares for a vital bankruptcy sale hearing next week in New York. "It may take some time before the future of NUMMI is determined." It won't be part of GM, though. The longer term prospects for the survival of the NUMMI plant in California just diminished as GM has announced it intends to abandon the plant as part of its bankruptcy proceedings. Insiders say that GM made Toyota an offer for a new product, but the Japanese company delayed and stalled. Then, Japanese executives were completely surprised when Fritz Henderson, GM’s CEO, made a decision to stop talking and move forward by stopping all GM production at what was already an under utilized plant. “While we respect this decision by GM, the economic and business environment surrounding Toyota is also extremely severe, and so this decision by GM makes the situation even more difficult for Toyota. We will consider alternatives by taking into account various factors,” said Mike Goss of Toyota Motor Engineering & Manufacturing North America Incorporated. The Pontiac Vibe termination was previously announced a little more than one week ago. However at that time both GM and NUMMI spokespersons said that the current intention of both Toyota and GM is to continue NUMMI as a 50/50 venture. That is now officially no longer the case, and it presents Toyota with a problem since NUMMI is the only UAW plant in North America that Toyota is dependent on. Japanese makers almost universally prefer non-unionized facilities here. And if the GM bankruptcy goes as planned, contracts such as the one governing NUMMI will be invalidated and Toyota will have to decide whether to buy the facility or shutter it, and then what does it do with the union? If Toyota buys NUMMI out of bankruptcy, the UAW contract governing the plant would presumably be invalid, allowing it to shed the union, but it is a potential political nightmare of the kind Japanese makers normally try to avoid. The existing workforce could strike and demand that the UAW still represent them. A series of compromises are designed to quash objections and allow the New GM to emerge by summer's end. How other groups fare as the case moves forward appears to be directly related to the threat they pose to the Treasury plan. As the summer heats up, so is opposition to the proposed reorganization of GM by multiple groups who claim they are not being treated fairly. And since for every action there is a reaction, The U.S. Treasury Department is stepping up its maneuvering to keep its GM plan on track. The latest such choreography saw trial lawyers receive a handsome sop over the weekend when GM agreed to allow product liability suits to continue on pre-bankruptcy GM vehicles, as TDB has reported. Not only are the trial lawyers large contributors to the Democratic Party, who have resisted reforms to a system that sees most of the victim’s compensation redistributed to lawyers’ fees, but they represented a potentially massive roadblock to a quick emergence from bankruptcy for GM. How other groups affected by GM fare as the case moves forward appears to be directly related to the threat they pose to the Treasury plan to do a so called section 363 sale that will preserve some of GM instead of liquidating all of it. As in the Chrysler case, the strongest argument for this government plan is that more is saved and more – but not all — parties benefit from a quick resumption of business and the trimming back or elimination of as many liabilities as possible from the New GM. The argument also leaves room, as has now been demonstrated, for some political deals that change the terms of the two cases. In an earlier move less than three weeks after GM declared bankruptcy, Treasury rejected the request for additional funds for suppliers who are strapped because of the GM meltdown and cessation of production at virtually all of its North American plants. Family heir derides "blackmail," ignores Monday deadline. Stick it Ferdi! 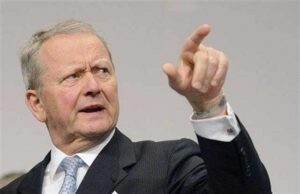 Wolfgang Porsche decries a merger bid he decries as "blackmail," from cousin and VW Chairman Ferdinand Piech. In a battle that has taken some serpentine twists, in recent weeks, the larger automaker first rejected a merger bid that would have put Porsche in the driver’s seat, then laid out an ultimatum of its own, VW demanding a 49% stake in the smaller company, and giving Porsche only until today to respond. Company officials are confirming that the Stuttgart-based sports car manufacturer today rejected the counter-offer, leaving a variety of possible alternatives as the two makers – both started by the Porsche family – move forward in what is, in many ways, an internecine rivalry. 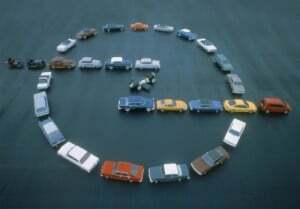 “Ultimatums don’t belong in the 21st Century,” Wolfgang Porsche, chairman of the company best known for its sports car operations, told The Financial Times, over the weekend, adding that, “We won’t be blackmailed.”VW Chairman and Porsche heir Ferdinand Piech rejected a merger initiative and has countered with one of his own. The Stuttgart manufacturer set the battle in motion, last year, when it began accumulating shares of its cross-country rival. A month ago, it appeared that Porsche might have gained the upper hand, and would press a merger that would put it in control. But David didn’t count on Goliath’s ammunition and allies, notably German laws designed to protect VW from a hostile takeover. After initially agreeing to sit down and discuss a deal, Volkswagen officials decided to back out. That was bad news for Porsche, which has run up nearly $13 billion in debt since it began what some see as Quixote-esque bid. Complicating matters, the global economic meltdown has hit hard sales of such iconic products as the 911 sports car and the Cayenne SUV.